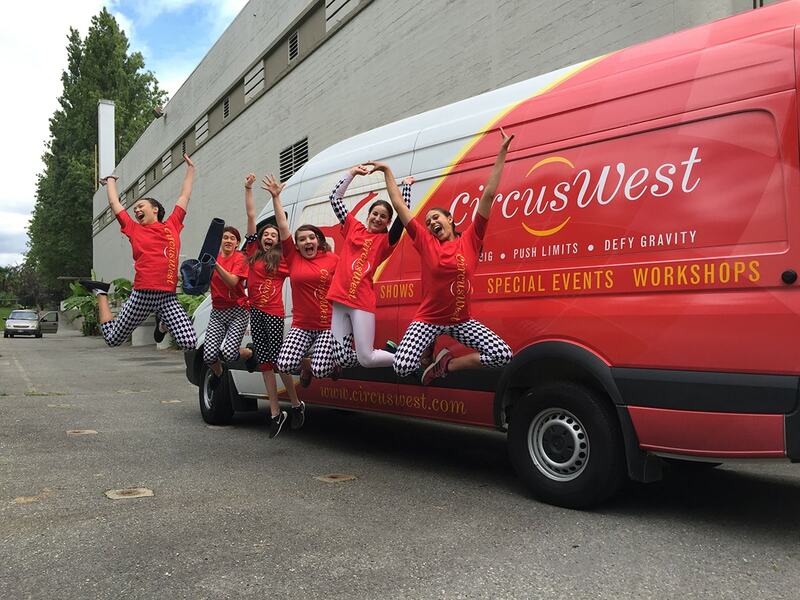 Because it takes a village to raise a Big Top, CircusWest is incredibly proud to be a part of our communities. We take the opportunity to give back to those communities whenever we can. LightWaterDrums – This winter lantern festival, hosted by the Hastings North Community Partners Group, celebrates the dark and wet of Vancouver’s winter. We perform with the festival each year. Great Northern Way Aerial Club – CircusWest is the main training location for these circus enthusiasts to develop their skills, fitness and to promote aerials in the circus community. National Circus School auditions – Since 2004, we’ve hosted the western try-outs for the prestigious Montreal circus school (where many CircusWest alumni have attended). Twenty Something Theatre – CircusWest is working with Twenty Something Theatre on the development of a new circus theatre show to be presented in 2018. Workshops have already begun! In partnership with Gymnastics BC, we’ve offered ACRIX classes to teach introductory skills to at-risk youth in Vancouver and throughout BC. We also work with Kiwassa Neighbourhood House to offer free circus programming for Kiwassa kids. CircusWest teaches circus workshops at local schools in the Hastings Sunrise area, in partnership with the Hastings North Community Partners Group. We also perform regularly at local fairs, festivals, parades, and other community events.